The center of the drum kit is the snare, so positioning and support are crucial to the drummer's performance. 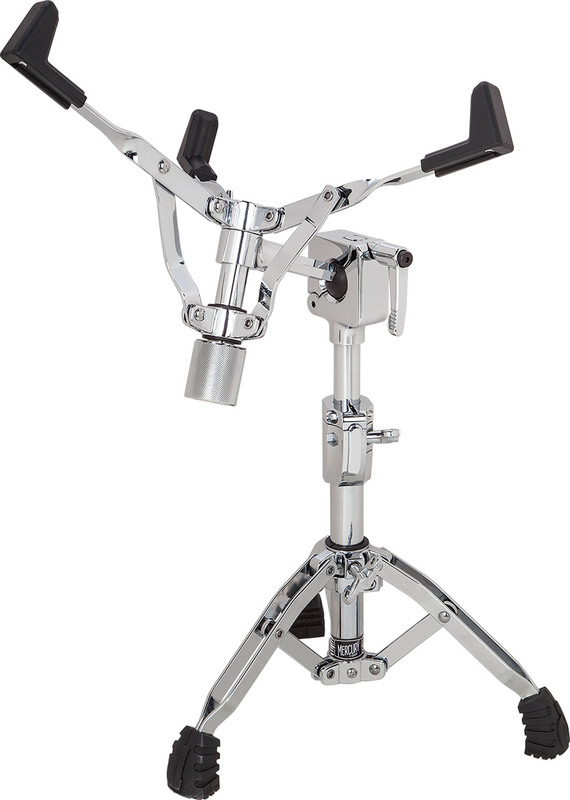 The Mercury snare stand is the ideal platform for the most sensitive voice in the kit. The basket will comfortably hold any size tom or snare from 8" to 15". The cradle arms have snare Resolifts with minimal contact  letting the shell fully vibrate for maximum tone and resonance. The ball-and-socket basket has a variable-depth arm that allows for 4" of horizontal movement, for accurate positioning. Once in place, it locks in via the lever arm. The double D-wing screws, and molded feet on the leg base, give this workhorse of a stand a stout but elegant look  matching any brand of drum kit.